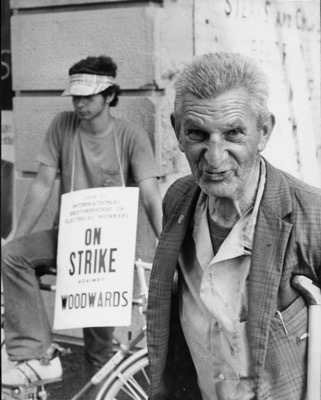 The fellow in this photo happened to walk by when I was hanging out on the picket line outside Woodward's Dept. Store. The fellow with the sign was helping out on the picket line. There were only two cash register repairmen who worked at the Woodward's Dept Store full time. 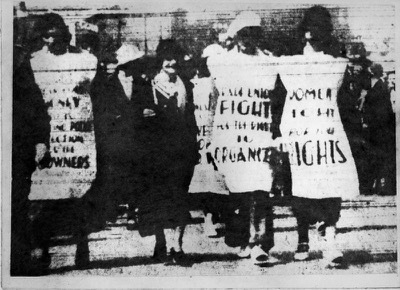 They were members of the IBEW union and were getting support from the union with their strike and picketing. The fellow in the foreground stood in front of the camera and then talked about being a retired longshoremen. He pointed out the ILWU retired membership pin on his right lapel. He then went on to say that he had been part of the Battle of Ballantyne Pier on June 18th 1935. At this time I was researching that extraordinary day and had produced some etchings from microfilm that I had found at the UBC Library. 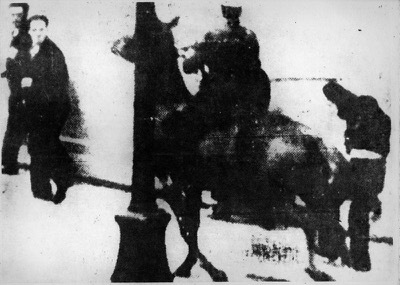 It had turned violent as you can see in the first image as policeman on horseback hit a man walking. The police attacked the picket line on horseback.